Your genome tells the intricate story of your genetic make up. Written in a biological language, our genomes comprise three billion nucleotides that code the large variety of proteins that work hard to keep you healthy and functioning. Your DNA has a lot of valuable information that can be leveraged to understand potential medical implications. Whole genome sequencing is the process of sequencing the entirety of an individual’s chromosomal DNA as well as the portion of DNA stored in the mitochondria. Access to your DNA sequence provides a valuable tool that can be used to determine individualized healthcare and lifestyle choices. Whole genome sequencing takes a comprehensive approach to analyzing the genome. With next generation technology, scientists are able to analyze entire genomes and identify important genetic information. The sequence of your genome can be a valuable tool in identifying inherited disorders, mutations that drive cancer and other diseases, and treatments best suited for your genetic make up. Advanced technology and improved efficiency has allowed the pricey procedure to be more accessible to the general public. Whole genome sequencing provides a large data set of genomic information that is valuable in understanding genetic predispositions to certain conditions. Unlike alternative sequencing strategies that target specific sections of the genome, whole genome sequencing provides a comprehensive view of the entirety of a person’s genome. Scientists are able to identify potential variants down to a single nucleotide. A full look at the genome is what sets whole genome sequencing apart from other sequencing alternatives. Technological innovations have allowed scientists to identify insertion and deletion mutations along with other mutations that power disease. 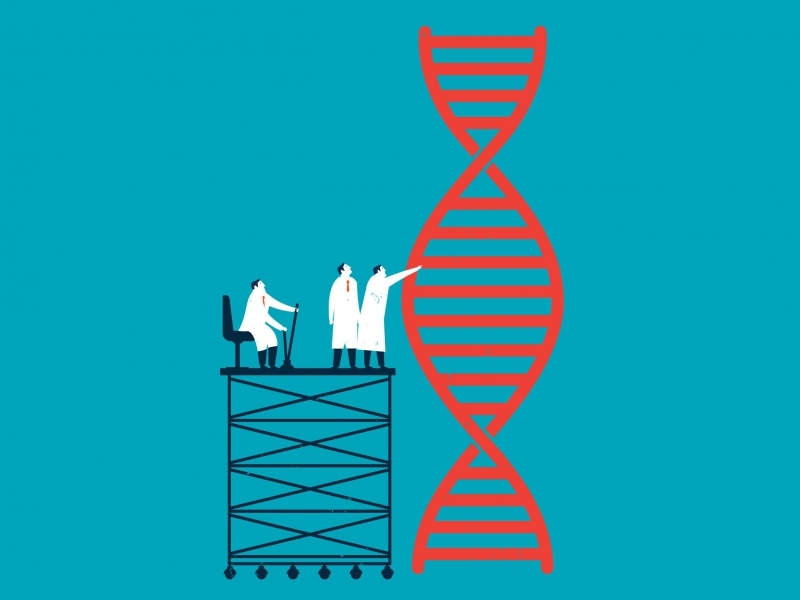 There are many advantages that come with getting your whole genome sequenced. Understanding your genetic make up provides you with valuable information for making lifestyle choices. If your genome sequence reveals a predisposition to a certain illnesses, you are able to direct your lifestyle in a positive direction for prevention. Additionally, doctors are able to refine healthcare treatment plans to work best with your genetic make up. Whole genome sequencing provides a depth and range of information that you can’t get from alternative sequencing methods. The high-resolution view of the genome is able to capture even the smallest variants that could effect gene expression and regulation mechanisms. These small variants captured in whole genome sequencing might be missed in other sequencing methods. Access to a large data set of information about your genome is your best tool for preventing disease and designing customized treatment plans. Your DNA is a complex alphabet. The 3 billion nucleotides of your genome tell the unique story of your genetic make up. Having access to your genome is one of the best tools for understanding how to adapt your lifestyle to prevent disease. Whole genome sequencing is the most comprehensive sequencing mechanism available for understanding how your genes are working to produce healthy proteins and regulate essential cellular functions. The whole sequence of your DNA will highlight even the smallest variants that might be missed in alternative methods.